Well, it's been awhile since I have written here and so much has changed. I have had some big loss, started a new, dream of a lifetime business, my son is almost a year old and really active, I've become more physically fit, and my girls and husband are doing well, thank God. It's been an amazing and intense and terrible and wonderful time, many days its been all of that in different moments. Occasionally, though not very often, in these past few months, it's even been pretty bland. I am finding that when life gets bland or over-the-top stressful, the little things are helping me through as much as the big ones. I know the big things need to be in pretty good working order to even have a chance at thriving, but if you also get the little things right, SCORE! Lately, the little things have helped me find my groove. Today, I got some moments of door-locked, moments alone this morning, and even though there were several interruptions, I relished the sweet seconds of taking a bath, reading Anne of Green Gables, and eating salt and vinegar chips, a delicious sandwich, and an apple and cupcake - all at once and without sharing a bite. It was marvelous, and I think if I remembered to do something like that - can't be the same combo as I bore fairly easily - each day, life would be even sweeter, or saltier at least :) Yesterday, when I was at my wits end, I took a 20 minute break at the gym and got on my knees after and reconnected with God, and the stress melted off like nothing else. Another day I blared music and found peace and joy, even though the song was sad. It wasn't the million dollar moments you hear about that brought me the peace - nope, it is about knowing God and resting on Him, and taking the time to acknowledge stress and trying different things to help me get through it. When I hit a rough moment in my days, and I cannot find an easy solution, I am learning to trust that joy is around the bend and life will soon be sweet again after I've gotten rest or healing or found a path to reduce stress. I am learning to rely on only God's good things to get through the trials too, rather than trying to find worldly peace. It is a great gift to me and those I influence when I am walking with the Lord, and finding joy in the little things. I was sifting through a pile of books and journals yesterday, when a piece of paper fell out onto the floor. Since things like this happen to me a zillion times a day, (oh tedious paper), I swept it up, getting ready to file it in the 'kids' drawings' pile, or if it was business mail, trying to make my way through the zooey living room to my desk to file it, or more easily, take it to the trash to toss it. Preparing to give it the millisecond survey, I scanned it, and stopped and for a sweet moment, touched by the finding. The paper was a piece of my mother's stationary; on it was a simple note from her, saying "Christa, Gone to get Abbie. Be back soon. Love, Mom" It must have been written twenty years ago or so, from the looks of the paper, and definitely before her stroke eleven years ago, evidenced by her clear hand. The paper took me back to the times of a simpler, less frazzled life, and it was good to behold, just to sit quietly and drink in the memories of my mother's pure love. I like technology, needless to say, but I am happy to be reminded of the sweetness that only paper trails can leave. Especially when they were left by her. Years ago, I read a beautiful story about love. In it an elderly couple were having supper in a diner, each silently chewing and lost in their own thoughts. The young honeymooner viewing them pitied them, casting them off as bored, out of touch, out of love, and ready to die without the passions of love. Only upon leaving the restaurant did the judging man notice that the couple had their hands tightly clasped underneath the table. He was dumbfounded. I read this as a newlywed myself, completely out of touch with the lasting quality of love. I knew about the passions of youthful love, the strength of idealism, and the beginnings of faith. But the kind of love that has been proved over years was something I could not yet know. Today, many years later, in the Bible I re-read "the love" chapter. "Love is patient, love is kind and is not jealous; love does not brag and is not arrogant, does not act unbecomingly; it does not seek its own, is not provoked, does not take into account a wrong suffered, does not rejoice in unrighteousness, but rejoices with the truth; bears all things, believes all things, hopes all things, endures all things." (1st Cor 13:4-7) It's brilliant. It answers so many questions I long to ask God about my life. It answers my fears as well as my indignant exclamations. Its quiet words comfort me and direct me in marriage, parenting, and friendship. This summer, I've had several lessons in quiet love. My four month old son teaches me the value of it by wanting nothing more than my eyes gazing directly into his, which is a great joy to do but takes settling down. My older children want me watching them with undivided attention many times a day. They want to laugh together, to play together, and to be in good rapport. They want their space, of course, but the quiet love of watching them, even in their own play, speaks volumes of true love to them and they know it ("Mom, can you play with me? Mom, can you turn your computer off? Mom, can you stop looking at your phone? Mom, can we have a special night together?"). Thank God that for any small labor I do for them, I've been rewarded most faithfully in these beautiful, endearing, relationships with my children. I am challenged to be this kind of loving Christian in marriage also. I am to be a supportive, faithful, fun-loving and quietly loving wife. Biblical examples that come to mind briefly are the directive to win husband over "without a word", the Proverbs 31 woman fearing the Lord and supporting her hubby, the plentiful reminders of fools being verbose, the gossipy pleasures of worldly women being lascivious and crude, the ecclesiastical reminders to relax after a long day of work with your spouse versus being the nagging, contentious wife, and the Song of Solomon reminders to cherish intimacy and to create a setting for it. All of this, combined with the great verses above, give us a recipe for success in marriages of every style. The biblical understanding of love is modeled by the elderly couple in the diner who simply and quietly loved one another in the happily ever after kind of way. That still speaks louder to me.than the best marital tools in my toolbox, and I've got a few of them. I've got a lot to learn about temperance in being this kind of wife and mother but I am encouraged by my learnings. I have seen success when I have loved in this way, the kind of success that grounds me in Christ, that gives me the self-respect only a person of temperance can feel, the quiet dignity of a life well-lived, and often, the increased joy on the faces of those I am loving well. To get their love in return is not a guarantee, but I have been blessed to have a very full cup of love on a daily basis and am trusting God to keep me in His stead. I have big dreams. So do my daughters, who have not become daunted by the harsh world yet. Apparently I haven't either, come to think of it. Anyway, we want to do lots of great things in this world, one of which is to start a bakery/coffee shop which serves healthier alternatives to all-out gorge-fest typical sweets. The other day, like many days of the past, we made one such recipe, called Melody's Applesauce Cookies. It basically contained a hodge podge of basic baking ingredients along with oatmeal, cinnamon, applesauce, less sugar and fat, and a dash of flax. It was delicious, and whether it was my imagination or not (I really don't care if it was), I had more energy that day, and every day after that until they were gone (which was admittedly, the next day). The power of the mind is strong indeed, and so is the fuel you put in your body. So, it's a fun thing to think and dream about teaming up with this great family of mine to rock out a better alternative to the local Starbucks or posh but sickeningly sweet neighborhood bakery. I imagine our bakery (currently known as "The Wildflower Bakery & Coffee Grind") to have plenty of healthier but still tasty sweets made with whole grains and less sugar, well-worn books to peruse, a few classic board games, a tea station with natural herbs, plenty of bagels and cream cheese, a couple of comfy couches and chairs, hummus and pita, salads, and all kinds of coffees and non-coffee drinks since I loved working that scene as a college student. Since I am on the fantasy wagon, another dream is to have a few rooms available to rent out for people to teach music, do therapy sessions, or tutor, as well as a small living room like semi-conference room where at least one day a week we offer free or low-cost (cup of coffee) seminars for people on a variety of wellness topics. I could cover my psychology topics with my counseling license, like boundaries, self-care, volunteerism-boosting depression, etc, as well as have friends and family join me by offering casual but informative training conferences on nutrition, theology, philosophy, and a number of other interesting topics. On other days, this living room type space can be used for music shows or small theatrical productions. I love the idea of community building and improving the quality of life for ourselves and others on a regular basis. 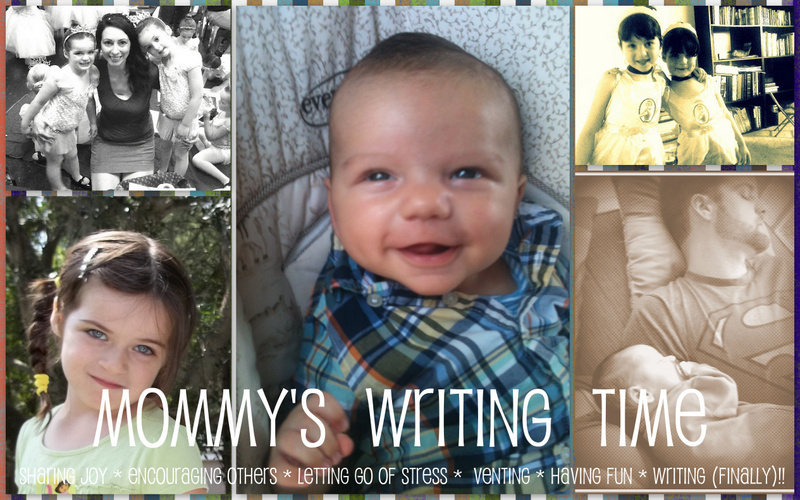 For now, while baby Jack is in diapers for many years to come it will happily remain a dream while I puruse other interests, like teaching, writing, and therapy, which are great but less all-inclusively time-consuming. One day, like in fifteen years, I may just go for it. Until then, if anyone wants to try it before me, have at it, I will gladly be one of your best customers. Especially if you have a toddler area. Hmmm...another idea coming to mind. therefore, that I can do or any kindness I can show to any fellow human being let me do it now. Let me not defer nor neglect it, for I shall not pass this way again." I enjoy the statement above as well as the poem below. I've always gotten reverberating feelings of goodness reading the statement by Grellet and I finally had to write about it. It's such a masterful way of communicating the beautiful simplicity of everyday kindnesses. I expect, as a Christian, that I have eternal life. 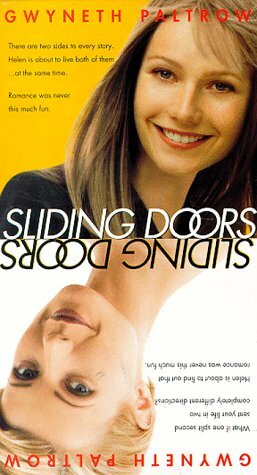 But life before death is full of "Sliding Doors" & "Serendipity" moments (see movie photos, both good ones). Which road will you choose? Your choices contribute to your destiny in this world, and in the life to come. Will you stop to enjoy the best moments here? Will you make the most out of your free time? Will you laugh at yourself? Cry when you need to? Feel beautiful even when the world tells you you are not? Acknowledge the effects of age and find the good in it? Will you love someone who needs to be loved even when it isn't fun? Will you give someone else the limelight? Will you work hard as well as play hard? Will you take time to smile at a lonely stranger (We are all that lonely stranger at times)? Will you follow through on commitments? Brighten someone else's life? Share Christ with the world who so desperately needs Him? The poem below is simply enchanting. This woman is sad that she has missed opportunities to love, has duly noted that she has been greedy and avoidant when others are in pain and now, as a dying woman dreadfully experiences what she has avoided. She beckons others to follow her in loving others well. Got it, doing it, loving it. Koinonia. I love that word, which basically means Christian fellowship, or "common unity" also known as "community." In the New American Standard Bible, it is translated “fellowship” twelve times, “sharing” three times, and “participation” and “contribution” twice each (NAS Exhaustive Concordance). Basically, it means hanging out with other people who have the same goal of bringing light into a dark world, and in my opinion, when those people are similar in personality, or complementary (spice to your sweetness, etc. ), it is SO refreshing! On days when I have planned too much, am really tired, or have been wounded by a fellow believer, I sometimes wonder for a millisecond if I might be an introvert who justs want to hole up with my little family in a corner of the world. A little of this is great sometimes, totally. If I do it for too long, something bad usually happens like ruminating, or selfish and otherwise boring or anxiety provoking thoughts, to quickly remind me that I am extroverted, in the sense that I derive strength from time spent with others in this world, that I need to share my gifts with others, and to enjoy others' as well. In other words, it simply means I am ready for koinonia again. Koinonia brings joy to me. I'm not talking about sitting near someone without speaking or talking about merely surface level topics, but in engaging with others and being "real," relating with others on the journey of our shared faith. I am totally over pretense and totally into authenticity. I really see that the Lord made me to be nurtured, challenged and loved by others in this world. I also am called to nurture, challenge and love others. Engaging others is part of our divine call, and the sooner we realize we need others to help grow us and that they need us to do likewise, the sooner our lives will be fulfilling. Only when we have true koinonia in our lives do we really have good balance. Only then are we purposeful, united, and reapers of true wealth, which far surpasses the lonely, Howard-Hughes-ish lonely life at the "top." Let's also remember that although FB has its awesome connective ways of drawing us into koinonia, it does not and cannot replace face to face, real community. Instead of perusing it for hours in a day, or scanning to see if a comment was enjoyed by others, our time is better spent writing a personal fb message to begin true face to face koinonia, or an encouraging one to a faraway friend who could use koinonia but might not have much. It brings so much more lasting satisfaction. Koinonia is not essential for a longer quantity of life necessarily, but ensures higher quality. When you engage with others, you risk hurts, germs, and a host of other annoying things like sin and strife. We all contribute to this imperfect cycle of spreading bad vibes, at least once in awhile. However annoying that is to contend with, the benefits of koinonia far outweigh the costs. One striking example of the importance of koinonia is in the recorded life of Corrie Ten Boom, who was persecuted for hiding Jews in WWII. She received torture in concentration camps because of doing what was right in a time when her country's leaders made it illegal to do so. In her book, The Hiding Place, she credits God's provision for koinonia as getting her through the camps, such as during lice-infested Bible study meetings, and singing and prayering with others in secret. After being released, she didn't hole up and decide she'd made the wrong choice. Instead, she went on to continue doing the right thing, shared the gospel of Christ with thousands, and loved others in the world, despite the risks of being hurt again (and yes, I am sure she sinned along the way, also). She saw tons of miracles, had true adventure, and real joy in her life. Fellowship with other believers cannot be sacrificed, pushed aside, or ignored, if you want that same joy and purpose. It is a life-giving command from our loving Father, a gift for those who will receive it. Thus, even if you are uncomfortable with getting to know others on a deeper level, I encourage you to risk it. If you get hurt again by another believer (you will, at some point), sit with it, acknowledge your own part in it if there is one, and allow the whole experience to draw you closer to God, who never fails us. Then try again, using the wisdom you gained from the hurt, and see that God brings healing and joy. Let's be purposeful today with our spare moments, give freely with open arms, and stay connected to others who share our passion to share God's light with the world. It's totally worth it. We are almost done with our homeschooling year of one first grader and one preschooler. One of my greatest triumphs and hardships both, this year, has been schooling my girls. I planned a homeschool year of fun field trips, creative projects, and a lot of good lessons together. I had this kind of a year, in many ways, but in so many other ways, it was not as great as I thought. In other ways, the life lessons learned, and the time spent, were far greater. I know it's one of those times when, as the cliche goes, "I made plans and God laughed." Not a sinister laugh, my any means, but a laugh of "I-know-what's best-better-than-you." And He did, too. I got a super-duper wonderful new son out of the deal. It's just that I ended up spending my first year in a new state, and the entire school year pregnant, with the exception of April/May/June in which I have been recovering and nursing a newborn infant. Things I have learned during this time may surpass the things my kids have learned in their year of school, especially in terms of life lessons. I learned that God gave me a lot of support to get through my unexpected pregnancy (I can be a bit of a control freak so it through me off just a tad), I learned that God carried me through moments of pain, doubt and fatigue, I learned the power of the prayers of the saints' (all the folks praying for me), I learned that God had given me children that adore the new baby (I had no idea they'd love him so much! ), and I learned that God would give me everything I needed to do this past school year well. The kids? Well, somehow they learned a lot too. They got good "school" education and plenty of life education, they learned to cooperate and be assertive at several playgroups or "school" events a week, have successfully gotten through two recitals, have begun a new sport, have done a ton of chores, they both learned to read, do math better, swim better, and they learned a lot about our country's beginnings. The harder life lessons were that my oldest definitely feels the pangs of 1st grade "reality testing" - that life from this point forward is much more and also harder than coloring, crafts, and abc songs. My preschooler/almost kindergartener, learned that schoolwork can be challenging, and that being a bigger kid requires being brave and a little more independent and focused. They learned mommy has limits, but that God does not, thankfully. They've had such a great year, thanks be to God!! Now that we are done with this part of the journey, I wait impatiently to know more of our story - I love secure plans. There is a lot up in the air though, and I am sometimes anxiously wondering how the next chapter goes. If I know anything, I know giving the specific answers early is definitely not God's chosen way of doing things with me, but He does give me the most important pieces of information during my wait. His peace that surpasses all understanding, His infinite mercies, His great love, His victory over the sting of death, His promise to be a lamp before my feet and a light before my path, and much, much more, not the least of which, a great family by my side to bless the whole journey!